A new initiative has been launched to halve the one million tonnes of food waste dumped in Ireland every year. It comes as one recycling company reports that the rate of brown bins usage is falling. Minister for the Environment Denis Naughten has signed a Food Waste charter that commits to actions to reduce food waste. Mr Naughten, who trained as a food scientist, said he is making the issue a priority. The overall target is to reduce the amount of such waste by 50% by 2030 and supermarkets have undertaken to look at multi-buy offers which are reported to be a factor in discarded food. 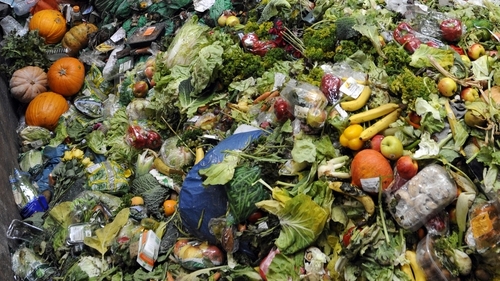 The second food waste forum was run by the Environmental Protection Agency who said that one third of the one million tonnes of wasted food comes from householders. The EPA has estimated that the average family could save between €400 and €1,000 a year by reducing the waste. However, Greyhound Recycling reports that the usage of brown bins has dropped to just 30% compared to 50% two years ago. Overall, 40% of black and green bin waste is contaminated to some degree and Greyhound has hired 25 quality control personnel to inspect household bins. Customers will be sent warning letters and ultimately face increased charges for contamination. It follows similar action by Panda Recycling.